Avon’s trade only service offers the latest technology for printing on an endless variety of substrates up to thicknesses of 50mm. Included in our trade service is personalisation with your branding for direct delivery to your client. 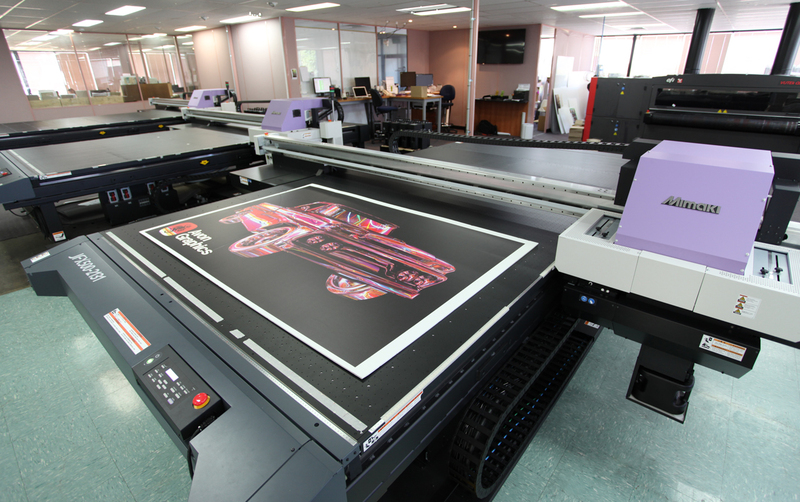 We offer a full service large format department including pre-press, production and installation. Our finishing services include sewing, laminating, eyeleting, gluing, welding, mounting, taping etc. Complementing our large format department our conveyor fed flat bedbed cutters make light work out of the toughest jobs. 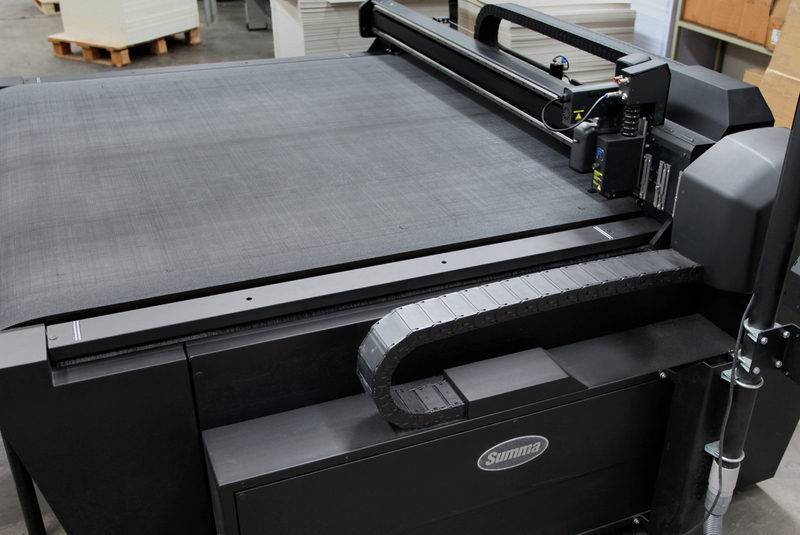 Whether you supply printed sheets or we print on our large format machines, these high performance cutters give the competitive edge cutting any substrates up to 50mm thick. Our cutting tools include different knives, creasing tools, v notches, kiss cutters and several router bits for the more rigid substrates.